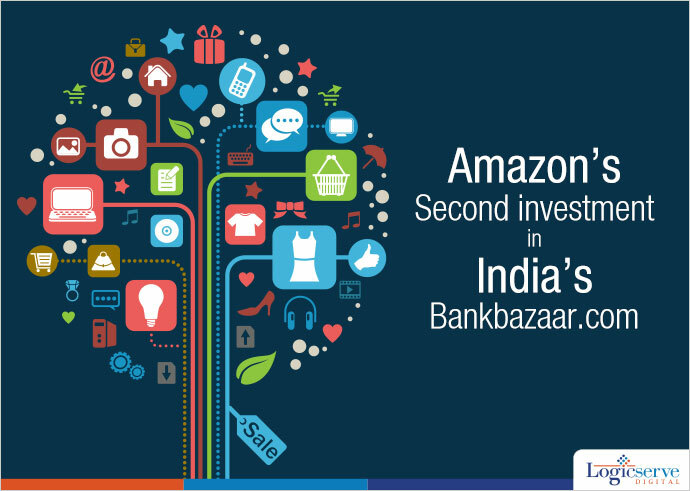 Amazon.com Inc, the largest e-commerce company, makes second investment in India’s startup Bankbazaar.com after its minority stake in QwikCilver, one of the leading gift card companies. Bankbazaar is an online platform which sells third party financial service products that includes, car and home loans, credit cards and insurance products. How much Amazon has bet and at what valuation is still not known. However knowing the fact that Amazon looks at India as a strategic market place, and has promised to invest $2 billion it aims to tap the country’s growing retail business. At the start of 2015, Jasper Infotech that owns Amazon’s rival Snapdeal.com acquired majority stake in RupeePower.com – online financial services platform. In 2014, A&A Dukaan, a financial services company, which runs Bankbazaar, had raised funding of around $13 million. Another rival policybazaar.com had raised funds of around $40 m at the beginning of 2015.